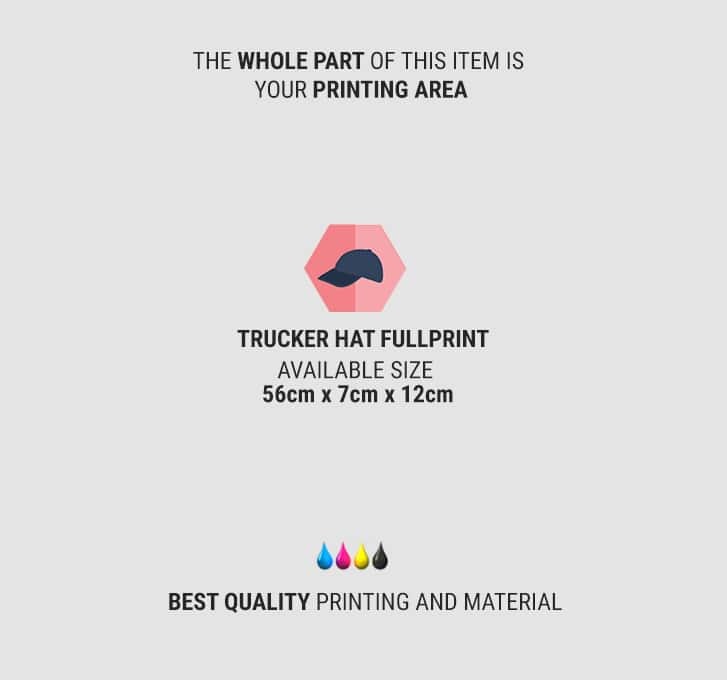 The difference between Trucker hat and the Trucker full print is in the printing area. 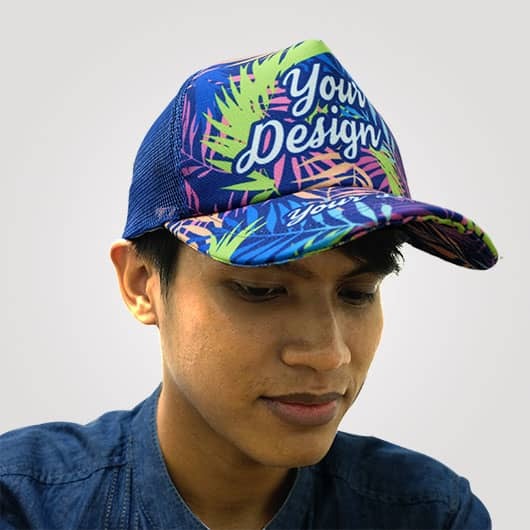 Trucker hat is only can be printed on the front with rubber printing. 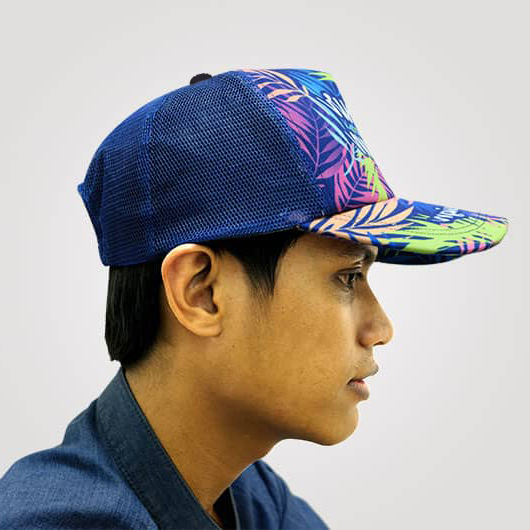 Trucker hat full print can be printed in the front area and the visor area of the hat. Do you want accessories that make you look perfect? Trucker hat is the answer. Guaranteed your appearance will be much cooler and sporty. 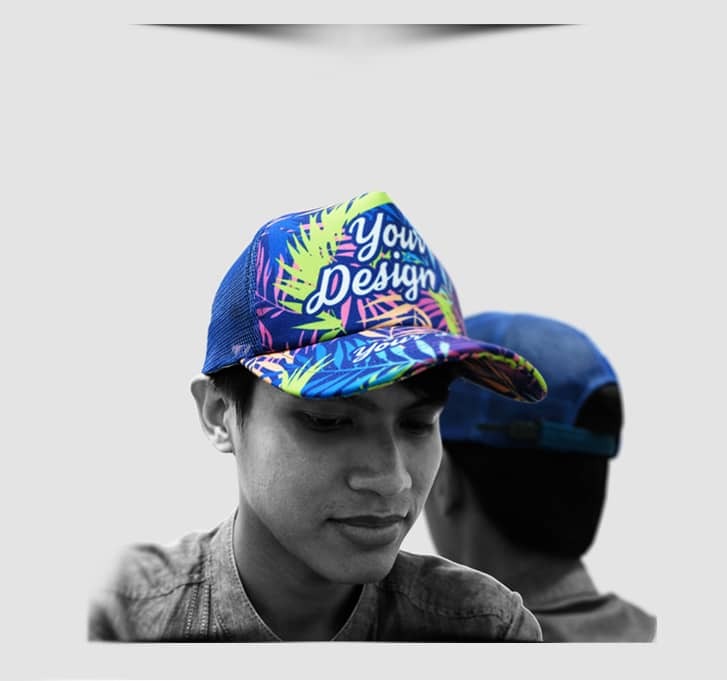 Moreover, it can show your very own taste design. 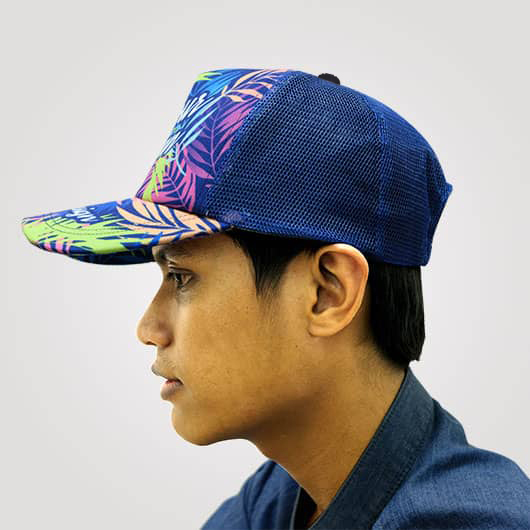 The hat diameter is 59 cm with height 11 cm, and visor 7 cm. 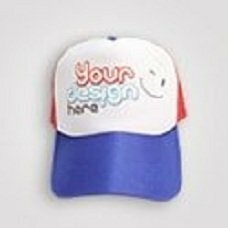 The material we use is Lotto fabric layered with foam on the front so it has large printing area and nice to be worn, while on the back of the hat use mesh which is cool to be put on and not hot. 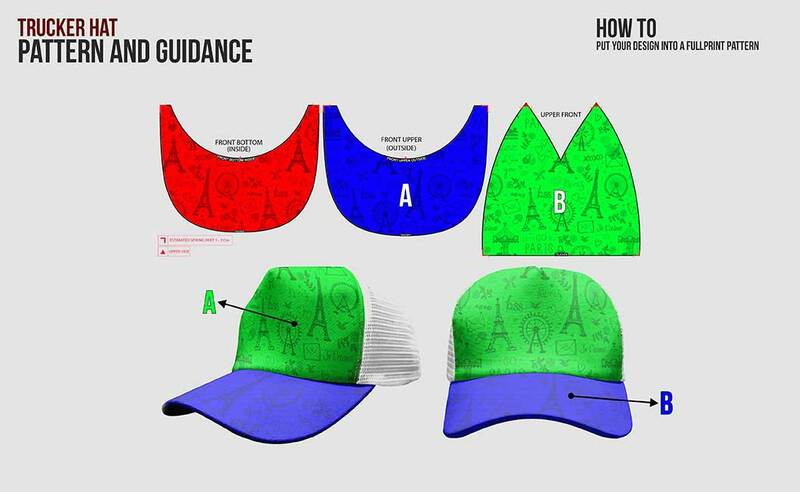 The design area is the front part of the hat, front visor up and down side, both can be printed. 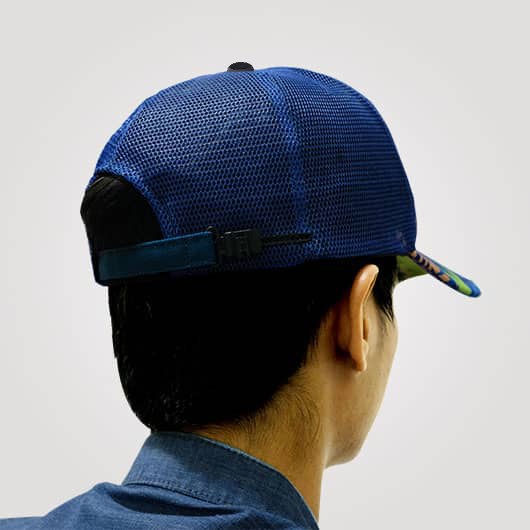 The back of the hat has a strapback to adjust the size to your head. 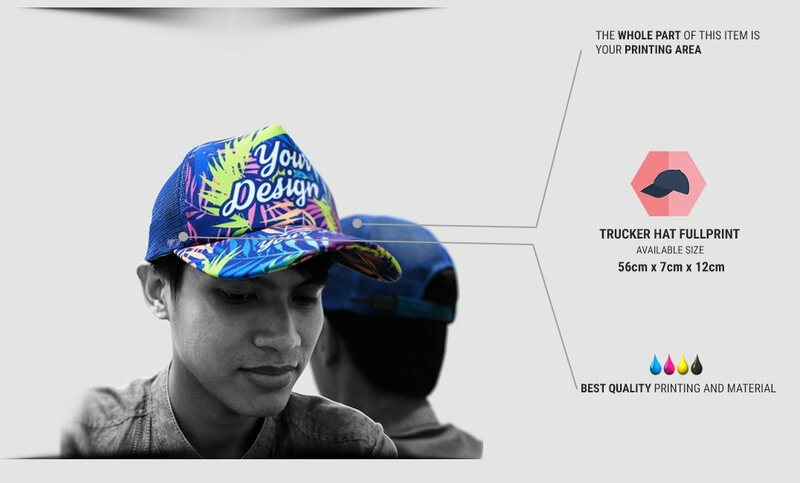 Order your trucker hat full print today!